**The first time that Dr. Andy Kumar saw Cadell Glynn—**all six feet, four inches of him, tribal tattoos winding around his arms, fingertips deeply callused from years of pressing steel guitar strings, dressed in leather pants and a tee shirt ripped at the neck that let the tattoos on his muscular shoulders peek through, blue-tipped black hair spiraling in curls and swaying near his shoulders, and fear and helplessness filling his dark eyes at the sight of his sick child hooked up to two different IVs and crying—Andy knew that he was going to be trouble. Mr. Glynn had interrogated Andy and the other surgeons, asking why, and when, and how, and would it hurt Emily too much. He had calmed down some after that first week. Some. After a few weeks, when Emily had stabilized, Mr. Glynn had backed off from the third degree, but he had begun to mention that there were other things in life outside the hospital. Restaurants. Dancing. Concerts. Even though he was the hottest thing Andy had ever seen, she should not date Cadell for so many reasons. So many. Andy wished that the hot rock star daddy would quit asking her out. Please tell me it's not the end!! I did NOT expect Cadell to be so sensitive. By the end of the book, I was in love with him!! He was compassionate, loving, considerate, ethical, and an attentive dad - and fighting his addiction to heroin in a visceral way. In fact, he describes his addiction in such a way that I could feel his pain and his longing for it. As always, Blair's writing is amazing - compelling, emotional, and engaging. She is a skilled wordsmith. Some of my favorite lines include: Looking at her was like catching his reflection in a funhouse mirror that warped his own face to be tiny and helpless and feminine. That tenuous thing that he called love drifted around him, almost a vapor in his mind. All that weight crushed him like a huge, stone wheel rolling over his chest. "I do not," he said from where he was draped over an armchair, his long arms and legs flowing over the sides like a tarantula stuffed in a thimble. For me, this book ended all too soon. The epilogue, in particular, seemed to stuff an awful lot of information into a short section. I was happy to read the conclusion, but a part of me felt like it was just too perfect. Maybe I just didn't want to see it end. Cadell is the lead guitarist in the Rock group Killer Valentine. A round 8 months ago Cadell found out he was a father of a 2 year girl who was very sick with liver trouble. Cadell spent every free moment with her even when Emily was in hospital on the waiting list for a liver . This is how Cadell first met Andy she is his daughters Doctor. This story is going to take you on a journey that you will not Forget. The book ties up all the questions we had after reading the earlier books in this series. Do yourself a favour and read the hole series. I received this book for an honest review. It's hard to describe how much I loved this book. Blair Babylon has been on my list of favorite authors since I read her first series – Billionaires in Disguise: Rae – and her writing never disappoints me. 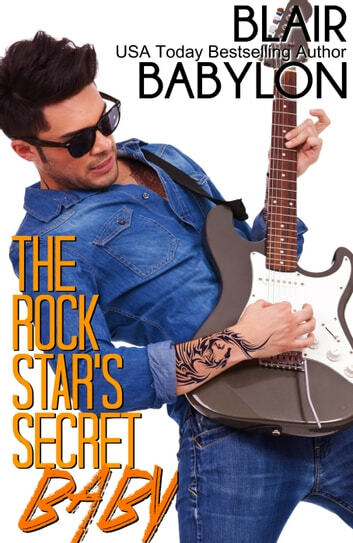 While The Rock Star’s Secret Baby is set in the Killer Valentine world of Rock Stars in Disguise (RSID) it can totally be read as a standalone. (You really should read the entire series though as it is fantastic.) I found the Author’s Note at the beginning of the book to be very touching and informative; I now know a little more about an author I love. Dr. Andal (Andy) Kumar is the wonderful and compassionate surgeon assigned to care for Cadell Glynn’s daughter, Emily – the daughter that none of his friends know about. Caudell didn’t know that Emily existed until a few months ago and now he’d do anything to make his daughter well again. Dr. Andy feels an attraction to Cadell that she can’t seem to help. She is touched by the lengths he goes to in order to provide care for Emily. Cadell has serious demons from his past that he must constantly fight so that he doesn’t let Emily down. My emotions were all over the place while I read this book. In a few places I thought I’d die laughing (conditioner is my new favorite word but I can’t say any more; you have to read the book). At other times the tears flowed freely along with more than a few sobs. Books that touch my emotions deeply are the best in my opinion and this one did that in spades. If you’ve read the other RSID books you will love revisiting the rest of the group in the final chapter of this story. Even though this concludes the RSID series I’m betting that somewhere along the way Blair Babylon will find a way to give us another glimpse at these fantastic characters. 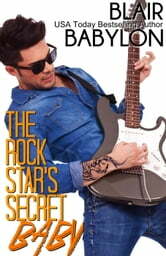 The Rock Star’s Secret Baby is an astoundingly breathtaking and magnificently exquisite journey that will ever so gently open your heart and allow the purest and truest form of love to reach in and transform every part. This is a love that will change a life just by its mere presence and the surprising peace that it brings. Love not only accepts with open and honest arms, but it also center us and presents a life of simplicity and overwhelming peace. Our hearts cannot live in turmoil and anxiety, so why would be choose to complicate our life and force ourselves to live in such pain? Instead, walk towards a future that will make your soul sing with its promise of unbridled joy and sigh with its temptation of perfect peace. Andy is living the life that has been carefully designed for her. She knows her place, and she does all she can to stay without her restrictive, allotted boundaries. The desires of her heart are inconsequential and do not matter in comparison to the future that has already been mapped out. No matter how much she yearns for more, she quickly pulls her disobedient heart back into its gilded cage. Cadell has none only chaos and demands his entire life. He knows what he must do, and yet his very soul is screaming out for something so very different. The chains that hold his captive are not as confining as they used to be, but can he figure out how to break them completely before more than his own future goes up in flames? Can Andy follow the pleading cries of her own heart and stop her very soul from dying before she has had a chance to spread her wings, or will she walk away from the only source of living water that her dehydrated soul needs only to please those she seeks approval from? If I thought that the stories of the other members of the band Killer Valentine were utterly mesmerizing and incredibly powerful, then Babylon definitely saved the best for last with Cadell. She has painted a masterpiece so expansive and yet stunningly detailed that to take it all in at one sitting is nearly impossible. The themes that wave themselves throughout this wonderful journey will seep into your heart until you feel the full weight of them upon your very soul. The truth and the power in the words that cover these pages will pierce every facet of your life until you find the chains that hold you captive. Andy and Cadell are a perfect and beautiful balance to the other. They not only understand the implication of their past, but they see the limitless potential of their future. The only question that remains is if they are willing to step out on faith and take hold of what they desire above all else. Blair Babylon continues to leave me utterly breatheless and completely captivated by the quite brilliance of her mind and the boundless depths of her heart. Her stories never fail to show me something new about myself, and quietly remind me that I am worth something, We are all broken and flawed in some way and yet it is those pieces that make us who we are. Regardless of what we think, we are never unredeemable or too far gone as long as we can be touched by love and hold onto hope.